Finally, an easy way to avoid front-end damage to your low-riding car when getting it onto a service platform or lift! 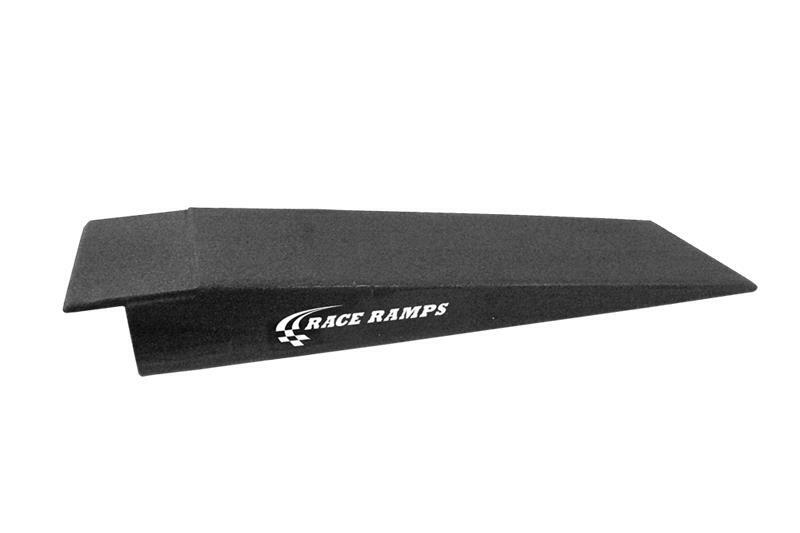 Rack Ramps decrease the angle of approach to your platform or lift and are available in a variety of configurations, including a version with a notch cut out for the existing ramp to rest in, a version with a bridge from the ramp to the platform, and three versions with hooks. Each variation is sold as a set of two, and each ramp can hold up to 1,500 lbs., for a total weight capacity of 6,000 lbs. However, you won’t break your back positioning these: no ramp variation weighs more than 15 lbs. per ramp! Rack Ramps are 100% solid, made with a high-density expanded polystyrene that is coated with a hybrid polyurea. This patented process results in a product that is extremely lightweight, yet strong and durable. The ramps will not slide, scratch, or otherwise damage any floor type.